With a career spanning over three decades Paul is widely regarded as one of Canada’s premiere producers of major festivals, concerts, and celebrity events. 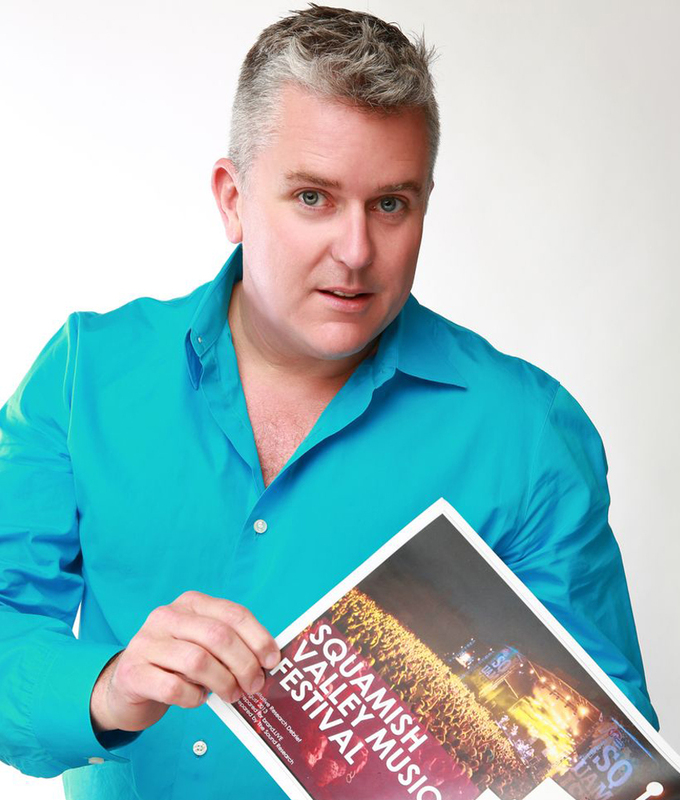 After years serving as a technical director for live events and festivals in and around Vancouver, he went on to manage numerous worldwide concert tours for Sarah McLachlan, Avril Lavigne, Dido, Prince, INXS, and others. Career highlights include managing production and operations for the wildly successful Lilith Fair Festival, as well as producing two Pacific Tsunami benefit concerts in 2005 that raised over $3 million for relief efforts — and of course, forming BRANDLIVE Management Group with partners Jordan Melville and Catherine Runnals. In 2009, Paul joined the Olympic Ceremonies senior executive team to produce the nightly Winter Olympic medal ceremonies and Headline talent concerts at BC Place stadium, and produced the live presentation of the first gold medal ever awarded to a Canadian athlete on home soil. Paul was the lead producer of the 2009, 2011 and 2014 Grey Cup Festivals. He also created and produced the critically acclaimed Squamish Valley Music Festival, which drew over 325,000 fans and generated in excess of $140m in economic activity during it’s six year run. In 2012, he oversaw the creation and delivery of the first major ticketed concert at Stanley Park. The “Voices in the Park” fundraising gala and concert raised over $1 million for the Sarah McLachlan School of Music, and featured performances by Sarah McLachlan, Stevie Nicks, and Bryan Adams, as well as a special appearance by President Bill Clinton. More recently Paul oversaw production and safety planning for the inaugural Snowbombing Canada Festival at Sun Peaks Resort. He is the ongoing executive producer of the Celebration of Light fireworks festival, which is the biggest public gathering in BC and is recognized as the largest offshore fireworks competition in the world. Paul lives in North Vancouver with his wife Catherine, son Griffin and a Jack Russell puppy named Stanley.